Regular maintenance and servicing of your central heating system will help to prolong the efficiency and effectiveness of your system keeping your bills to a minimum as well as extending the life of your boiler. 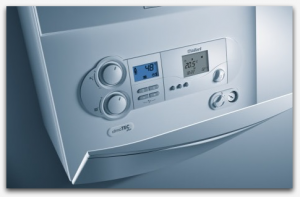 Rolfe’s Heating recommend annual servicing, especially with older boilers. Specialist testing and a careful maintenance procedure will ensure that your system remains in good working order, keeping your running costs to a minimum and ensuring you can rely on your heating to be there when you need it most. Our annual service costs only £55 plus VAT, and not only guarantees a safe and efficient boiler, but also ensures you will have the ongoing support from our experts if and when you need it. For peace of mind contact us and we will be happy to talk you through our central heating servicing plan. "Rolfe's came out to us when no one else would fit us in. Thanks to Tom we didn't have to spend the night cold!" Mr & Mrs Duffelby, Hythe. "I have used Tom and Will for years, I simply wouldn't trust anyone else with the maintenance of my central heating"
"Rolfe's Heating came out to us when our boiler stopped working at the start of December. Tom & Will saved us from enduring a very cold winter by doing a first class job". Mr & Mrs Frost, Dymchurch.